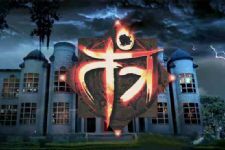 Munisha Khatwani returns to Television after a decade..
Popular Tarot card reader will soon be seen in this show. Well-known tarot card reader Munisha Khatwani is set to make her comeback on small screen after a long break. 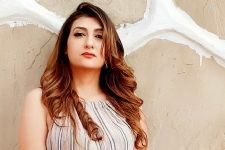 The beautiful lady has earlier participated in Star Plus' reality show Survivor India and has anchored famous astrological show Teen Deviyaan for a news channel. Munisha has now bagged a new project. According to our reliable source, we hear the Munisha will be seen in Siddharth Kumar Tewary's supernatural show Tantra. The actress has bagged one an important role this upcoming show. We contacted Munisha she refused to comment on the same. Apart from Munisha the show stars Juhi Parmar, Manish Goel, Sargun Kaur, Farida Dadi, Nayan Bhatt and Payal Bhojwani in pivotal roles. After Nach Baliye, Jay and Mahi to share screen space in THIS reality show! When Juhi Parmar Defied Death; Details Inside! Original Kasautii Zindagii Kay cast including Shweta Tiwari & Urvashi Dholakia had a REUNION! Juhi Parmar-Manish Goel's Tantra Under Scanner?